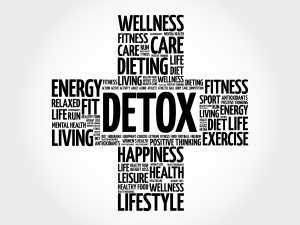 Drug detoxification involves the purging of all harmful, addictive substances from the body. Whether you or a loved one are addicted to heroin, meth, cocaine, pharmaceuticals or any other type of drug, our expertly trained staff members at His House | New Creation will work one-on-one to facilitate a safe and optimized detox process. Our priority, first and foremost, is always for the safety of our clients. The staff members at our programs have personal experience in recovery and the detox process. Because of that, we intimately understand how to care for and guide a client through treatment and provide 24/7 supervision as well as monitor all vital signs closely. Additionally, we can make various medications available to our clients to help cope with the withdrawal symptoms of detox. This is not a definitive list of withdrawal symptoms or side effects, and depends largely on the specific substance being purged, as well as other factors. Different precautions may have to be taken, and detox may take longer. The combination of substances – A combination of alcohol and heroin, for example, can be much more potent and serious than either alcohol or heroin alone. The most recent dose of the substance – If the individual has just been on a serious binge, this will take longer to purge than a single dosage. The life of the drug – Some drugs are faster acting than others. If the effects are delayed, withdrawal symptoms may be delayed too. The length and severity of addiction – If someone has been using for years, or even decades, their body will have built up a significant tolerance for, and dependence on, whatever substances they have been abusing. Clients may find that withdrawal from benzodiazepines is very similar to detoxing from alcohol, because they both work in a similar way. If withdrawal becomes particularly severe, patients can suffer from delirium tremens, which is classed as a medical emergency. This can occur in 10% of those experiencing alcohol withdrawal. The side effects from this are commonly mental as well as physical, and can include profound depression and suicidal thoughts. Opiates are highly addictive and pose slightly different detox challenges; sometimes the withdrawal period can last for weeks at a time. There are some medications that have been developed solely to treat opiate addiction and can improve the comfort and safety of the patient during detox. Methadone and buprenorphine can be prescribed to stabilize the patient. Detox can feel torturous, so it’s a common emotional response for people to wonder why it’s all so necessary. Detox is the first step of recovery, not the whole process. It’s crucial for the body to process the toxic substances and replace them with naturally-occurring ones before long term recovery begins. It’s a remarkable process, performed mainly by the liver and kidneys, and rids the body of anything it deems harmful. Those who have been using consistently for a period of time may not have been fully sober in months, or even years. Treatment must begin with the individual is completely sober and fully detoxed; it’s counterproductive for someone to embark on rehabilitation treatment while still using. We have a medical facility onsite with doctors and nursing staff trained in addiction recovery. When detoxification begins they will test the urine and blood to get an accurate reading of what substances you have ingested, then take the appropriate medical precautions. 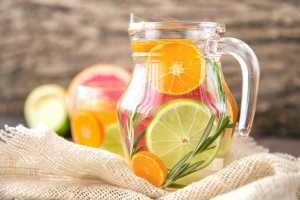 When detox begins, they will treat as many of the unpleasant side effects as possible, but it’s often impossible for them to prevent them. The body needs to process the toxic substances and get used to continuing without them, and withdrawal is an inevitable part of this. Going ‘cold turkey’ is often people’s chosen method if they decide to detox themselves privately at home. This can be extremely dangerous and can lead to fatalities because the body goes into shock and can convulse or seize. Alcohol and opiates are the most dangerous drugs to quit instantly. The body is completely unused to functioning without the substance and struggles immensely to cope without it – this is what creates the unpleasant withdrawal symptoms. Stimulants like cocaine and amphetamines, while they do not generally lead to fatalities, still can induce intense psychological withdrawal symptoms which require professional attention. We provide constant medical attention regardless of the drug or drugs of choice. Your mental recovery treatment will begin immediately after this, when you are physically and emotionally ready. We try not to delay any element of this once the individual is fully clean, so we can get them back on track and learning healthier lifestyle choices as soon as possible.